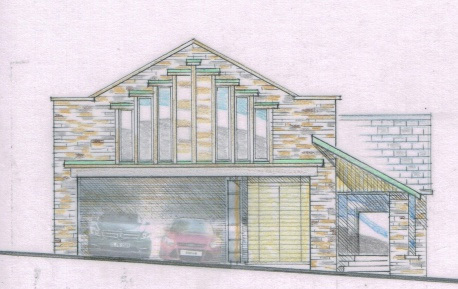 Plans for house conversion in Dobcross. My client sold his Dobcross home quickly after our collaboration. The existing house was once Dobcross village hall. Then is was converted to an unusually large house considering it has only two bedrooms. My client wanted to sell but pricing was limited by the bedroom number. So this design shows buyers a vision of potential development. Plans explain how additional bedrooms and ensuite bathrooms can be integrated within the same floor area. Larger kitchen and utility spaces are created plus re-vitalised “kerb appeal”. A new transparent entrance on the back of footpath.